Juilliard Jazz, under the leadership of Juilliard alumni Wynton Marsalis, director, and Aaron Flagg, chair and associate director, has announced its 2018-19 season, featuring the Juilliard Jazz Orchestra, Juilliard Jazz Ensembles, and the Juilliard Jazz Artist Diploma Ensemble. The Juilliard Jazz Orchestra will perform at Alice Tully Hall and Juilliard’s Peter Jay Sharp Theater, and has an annual weeklong residency at Dizzy’s Club Coca-Cola. Juilliard Jazz Ensembles play more than 50 on- and off-campus performances annually, including international tours and performances at Dizzy’s Club Coca-Cola at Jazz at Lincoln Center and the Blue Note, all in New York City. 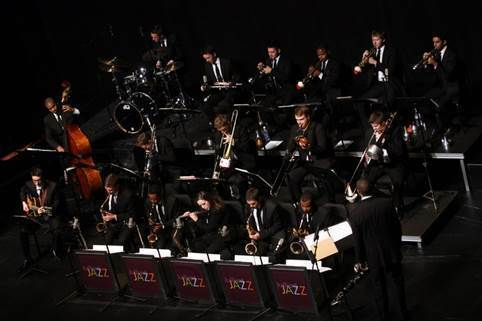 Also this season, the Juilliard Jazz Orchestra will be a featured ensemble at the 2019 Jazz Education Network’s Conference in Reno, Nev., from Jan. 9-12. Tickets for the Sep. 25 Juilliard Jazz concert are $20 ($10 for full-time students with a valid ID) and will be available on Aug. 28 at juilliard.edu/calendar. Tickets for all other Juilliard Jazz events will be available beginning Sep. 20 at juilliard.edu/calendar.